Ideas for a compact American switching layout/short line based on a modern business park in Minneapolis. How to make the changes for greater accuracy in the GWR model. The 'Supernook' track plan used in an On30 layout and equally at home in an English or American setting. Part 2, of article in 74/40 about a HO American layout set in southern Arkansas. An HO American switching layout based on a segment of 'The Providence River Branch' featured in MRP 2009. 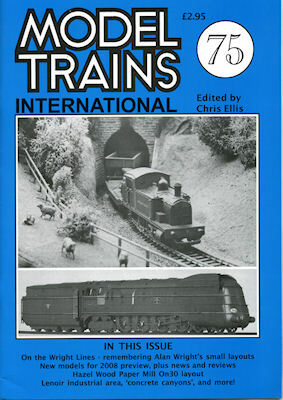 Alan Wright's original simple layout, the humble oval, and further derivatives. American switching layout in either HO or N based on the furniture industry in N Carolina.